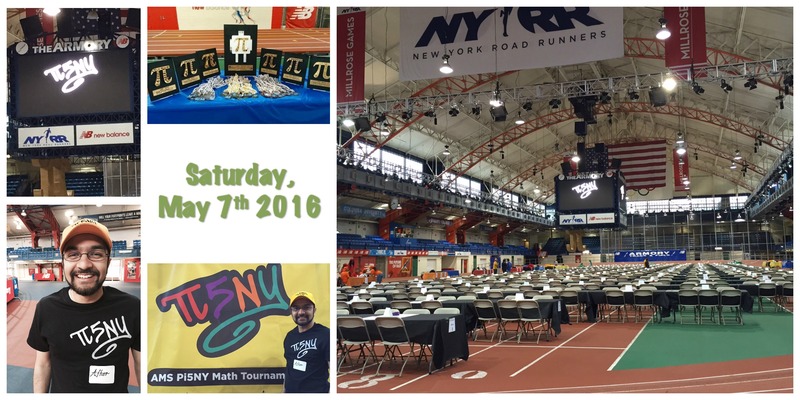 This past weekend, I had the opportunity to volunteer at the AMS Pi5NY Math Tournament. This tournament is held annually, open to middle schoolers in any of the 5 boroughs of NYC. Students worked in teams of 5 on a set of 40 problems. I was a judge for two 8th grade teams. When one of the students finished a problem, they would come to me and I would check their answer, and then send them off to the scorers if their answers were correct. It was a lot of fun and great to see so many young people enjoying math on a Saturday morning! < Previous Welcome to my site!